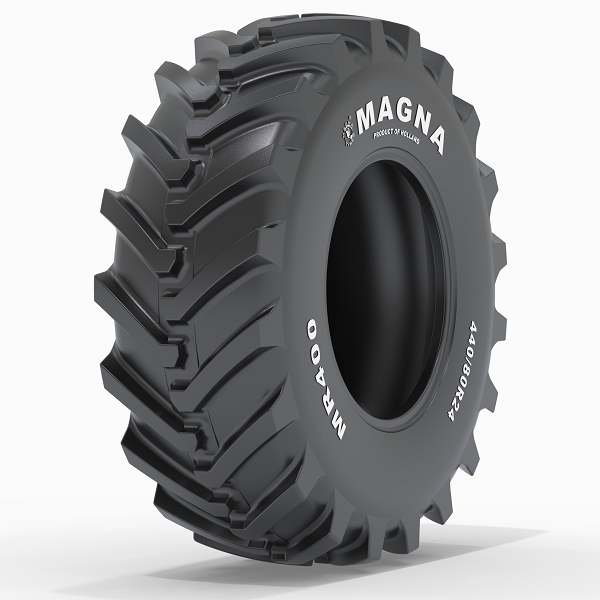 Magna Tyres Group has added to its range with the introduction of the new Magna MR400 IND. The new tyre is explicitly intended for use on backhoe loaders and telehandlers for commercial purposes on any terrain. The MR400 IND has a state of art radial design which includes a specially designed steel belt and unique compound. Both these properties provide an extended tyre life even under the harshest of circumstances. Superior protector plies applied to the MR400 IND boost load performance as well as operator comfort. The deep tread and traction pattern together improve performance and has excellent self-cleaning properties making the MR400 IND the ideal tyre for many diverse uses. Available to order in the following sizes: 17.5L(460/70)R24, 19.5L(500/70)R24, 540/70(21L)R24, 400(405)/70R24, 400(15.5)/80R24, 440/80(16.9)R28, 480(18.4)R26. For more information on Magna Tyres visit www.kevinburketyres.ie or phone 091 845 329.